Drag Racing is a sport of extremes. High horsepower is the name of the game; however, it is largely governed by weather conditions. 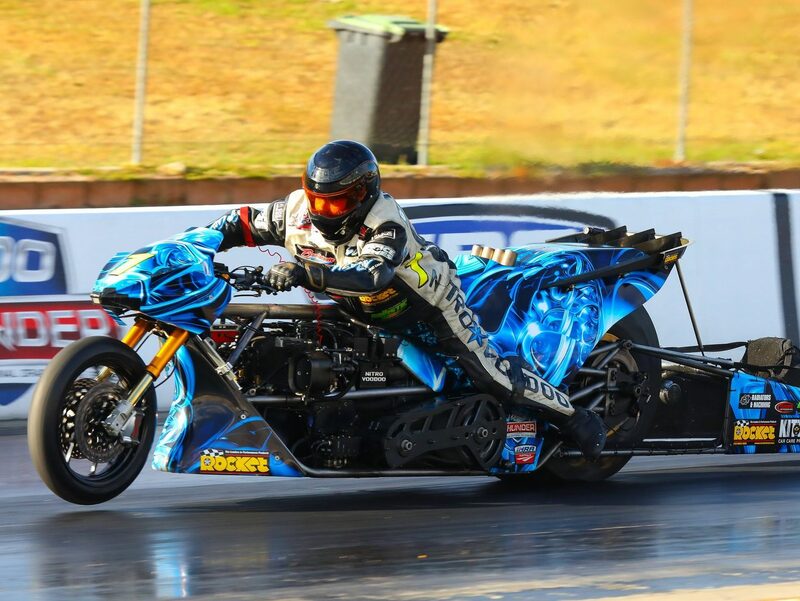 The track conditions at Sydney Dragway were certainly on the extreme side in the week leading up to the Santo’s Summer Thunder event. A Test and Tune on Tuesday saw track temperature reach 150 degrees! For five-time National Top Bike champ Chris Matheson, he knew it would be tricky, especially with a forecast for even higher temps on Friday. Last time out Matheson failed to score any points in the 400 Thunder championship. On his first pass at Sydney Dragway’s East Coast Thunder, he suffered an injury to his back on day No. 1. Despite a visit to a doctor, Matheson made the difficult decision to withdraw. Could Harley-Davidson's New LiveWire Lead to Rise in Electric Drag Racing?